Quiet is the New Loud! A new Quiet is the New Loud! is coming up. 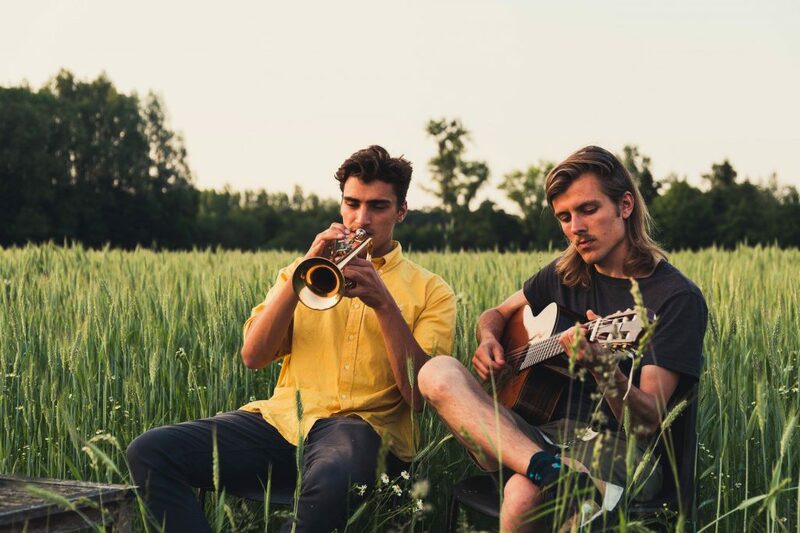 On the 20th of February Astronaut and Kinsmit are performing in the public library of Wageningen. Let your friends know you are joining and like our event on facebook! Also another InDiePub is close, this time at Vreemde Streken. 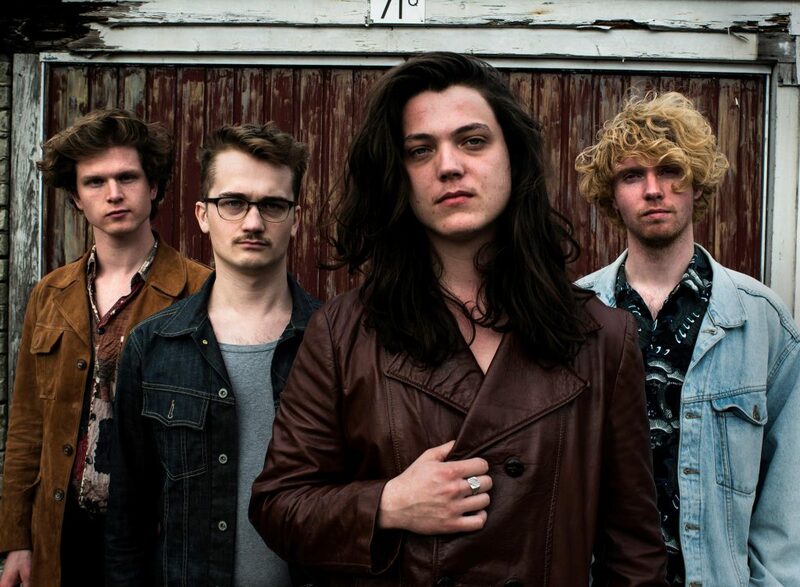 We invite Alison Marble and Whatimeant to the stage the 7th of February! Let your friends know your are going! Busy week for popcultuur. Tonight QITNL! and Friday InDiePub! We hope you are just as excited as we are for tonights edition of Quiet is the New Loud! To get you even more excited, watch this aftermovie of Jessy Yasmeens performance in Paradiso, Amsterdam! 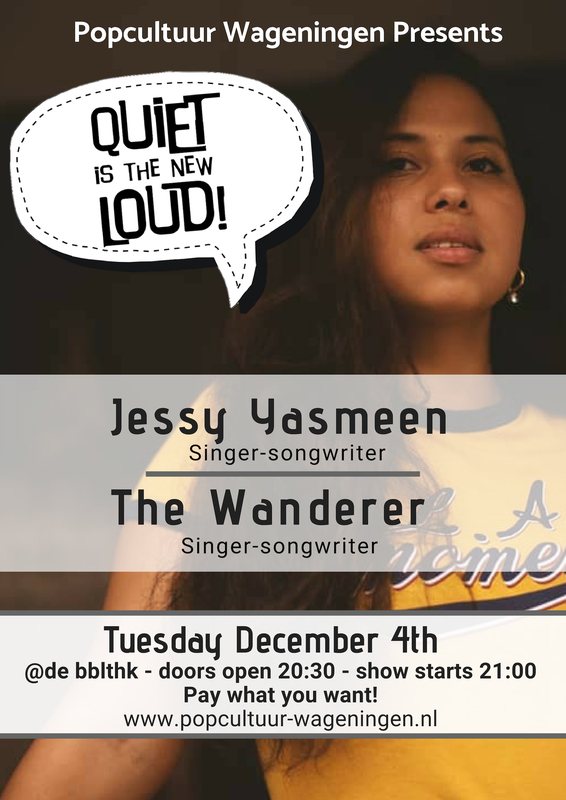 Jessy Yasmeen is a singer-songwriter with Dutch and South-American roots. Her first single was released in 2017 and her first EP will be released in 2019. So stay tuned! 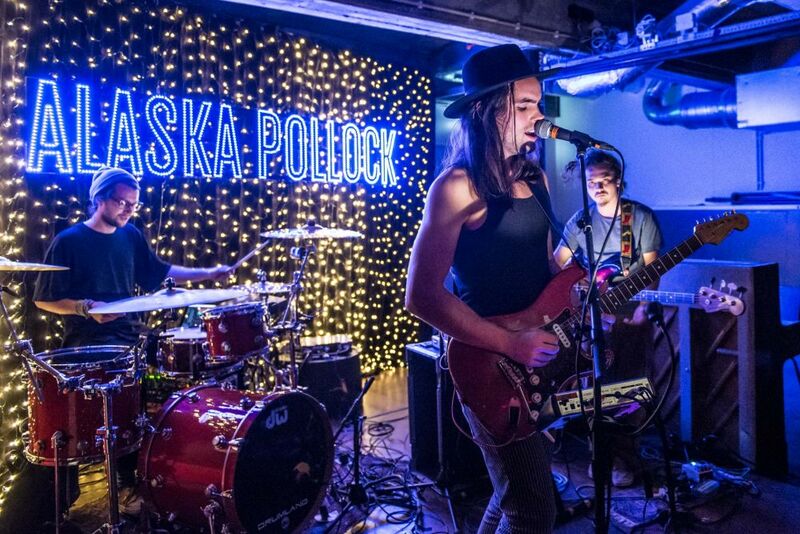 Jessy describes her music as dreamy indie-folk. The Wanderer, consisting of three people, is the second act of the evening tonight. Hereby one of there songs to give you a taste of their music! 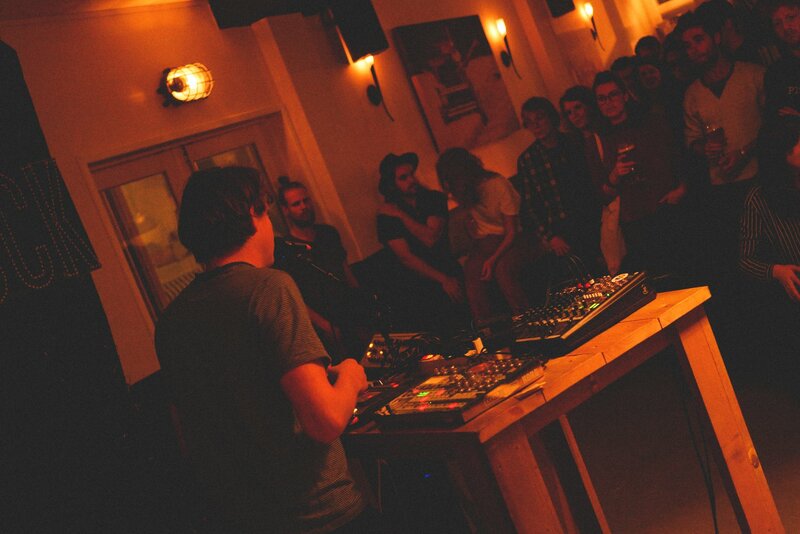 For all the Newbies: it’s in De bblthk, where we’ll open the doors at 20:30 and start the show at 21:00. Be on time to make sure you have the best spot to enjoy the performance! There is a Pay What You Want Box. If you don’t have cash with you, don’t worry: we have a QR code redirecting to a Tikkie. You can of course also come meet Sarah Jurassica Parker & “Dr. Brown” live on the 7th, we hope to see you there! See you on Friday music lovers!!! Last InDiePub was a BLAST! All pictures can be found on our Facebook page! 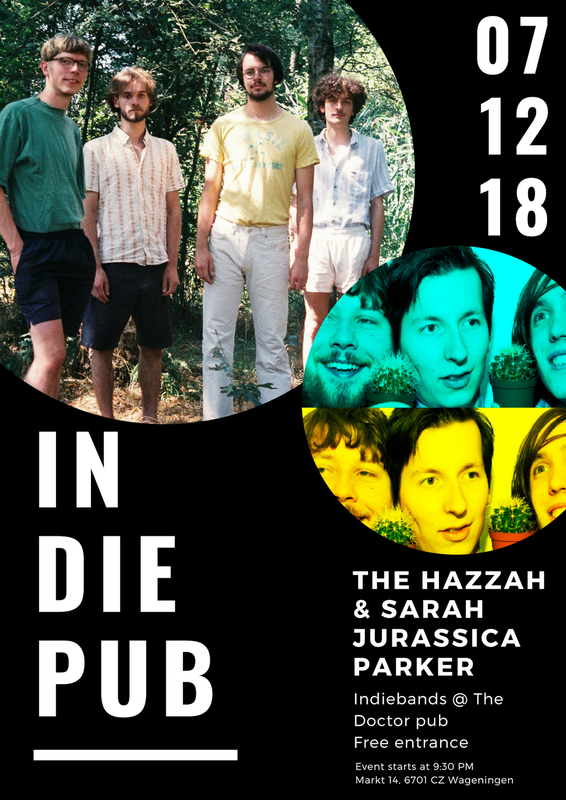 Next InDiePub will be at The Doctor Pub on Friday the 7th of December with The Hazzah and Sarah Jurassica Parker.